Standard Fair, anything but a standard affair! New Release: A Jeans Jacket for the Modern Day Cowboy. Levi’s Vintage Clothing A/W 2018 Collection: Classic Americana mixed with Jamaican Flair. PRPS is back and they have a surprising collaboration in store for us! 3sixteen DSPTCHes another great collab! Rope Dye Rundown: 3Sixteen sets us up for Summer! W.H. Ranch Dungarees Release 3 New Styles of Jeans! Samurai Special: Celebrating 20 years of denim greatness. 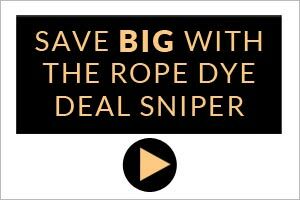 Introducing the Rope Dye Deal Sniper. Koen Kuik. A Denimhead who lost his head.